Gordon SD, Uetz GW. 2011. 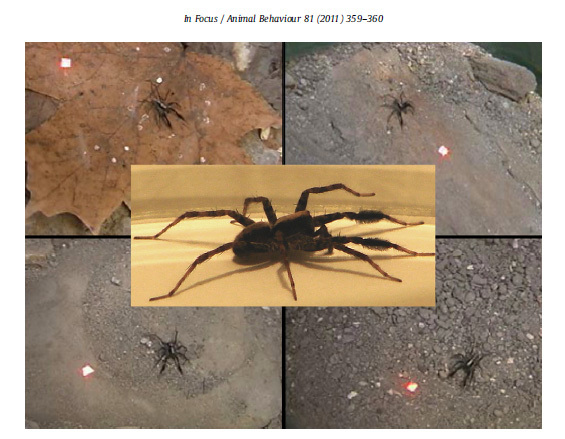 Multimodal communication of wolf spiders on different substrates: evidence for behavioral flexibility. Animal Behaviour. 81:367-375.